Today in this post I will tell you how you can convert videos online. If you are looking for a way to download YouTube videos or convert any video using an online service then there are many ways. But most of them let you convert videos not in many formats, there are two services which lets you Zamzar and MediaConverter. Using Zamzar you will able to convert in many formats but you have to give your email address to get the download link of that converted file, in MediaConverter you don’t need to. 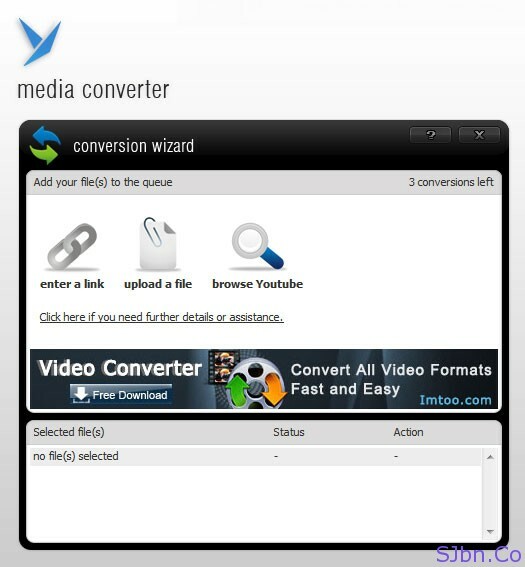 Using MediaConverter you will able to upload the video/audio file, give the direct link of the video/audio file or you can give link of the video to any of the following websites blip.tv, break.com, dailymotion.com, facebook.com, livevideo.com, metacafe.com, myvideo.ch, myvideo.de, veoh.com and youtube.com. You can convert videos to 3g2, 3gp, asf, avi, flv, m4v, mkv, mov, mp3, mp4, mpeg, ogg, ogg, rm, wav, wma and wmv. You can also able to change the Audio codec, Video codec, Audio bitrate, Video bitrate, Resolution, etc. according to your suitability. It also has an Add-On for your Firefox web browser. But the downside is you will only able to convert five videos then you need to join their paid account or need to go with Zamzar.